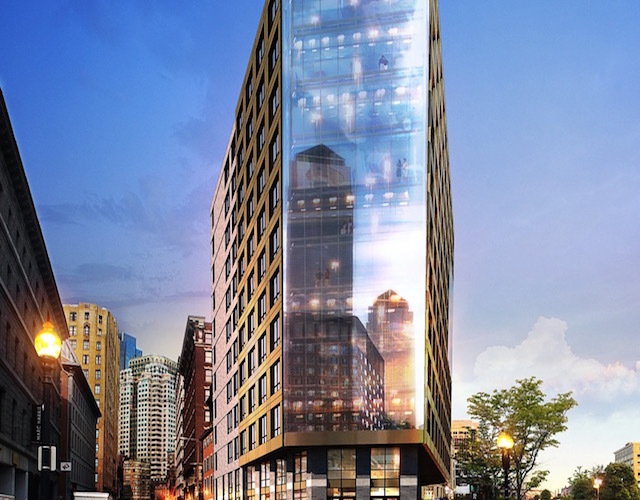 Boulevard on the Greenway offers residents the opportunity to live directly on Boston’s most sought-after location, the Rose Kennedy Greenway, in a stunning architectural statement. Situated in Boston’s Custom House Historic District and its high-energy, high-density business district. Yet it’s green. And it’s this gorgeous landscaped setting that makes Boulevard the ideal spot to live, work and play in an energetic location at the very heart of the new Boston. A striking façade of glass, stone, brick and a subtle, color-shifting metallic skin is fused to a restored, Federal style Charles Bulfinch gem. The thoughtful combination of classic and contemporary highlight Boulevard’s treasured Greenway setting perfectly. Inside this landmark property are 12 floors with condominiums ranging from 1-bedroom, 1.5-bath residences to the penthouse levels with its special collection of three spacious, 3-bedroom duplex residences, each with extraordinary views of the Rose Kennedy Greenway.